At a time when the world is desperately in need of greater empathy, inclusion and kindness, comes this stunning tale of the boy with the curious mark. This debut picture book for exciting new children's publisher, Red Paper Kite, is a subtle and beautiful story that embraces difference and sings with enlightenment and acceptance. Hugo was born with an unusual rainbow mark, a mark he has never seen on anyone else. Even though the mark grows big and bright, and Hugo has a diverse group of friends at school, Hugo feels grey and alone. One day, Hugo embarks on a quest to find someone 'just like him'. His journey takes him from a sunny beach to the city and on to a carnival. Difference is everywhere, but Hugo only has eyes for a rainbow. He catches a brief glimpse of one on a crowded train platform, but then it is gone and the grey consumes him again. 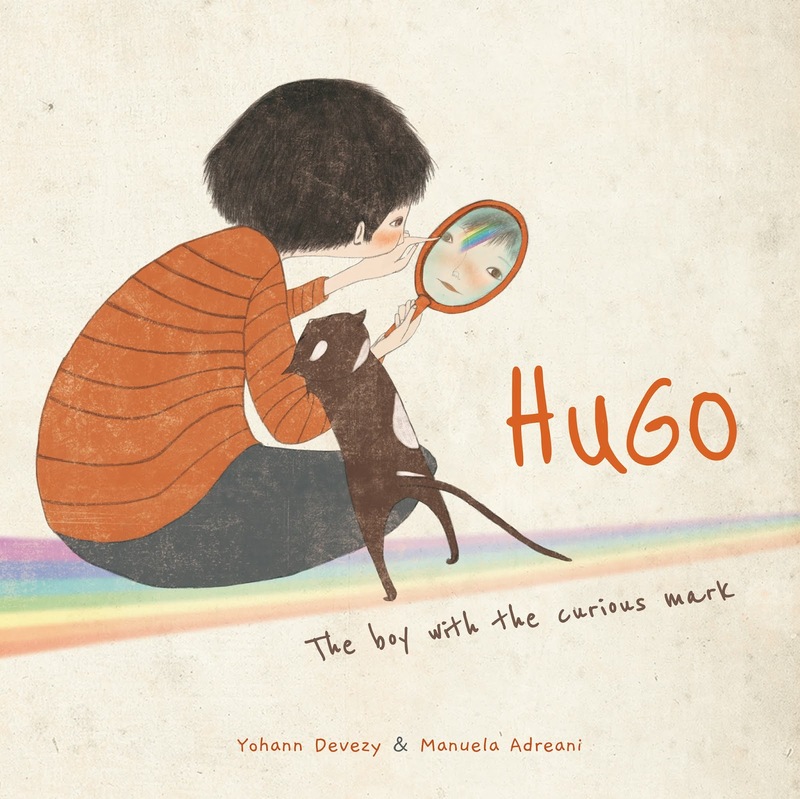 The prose of debut author Yohann Devezy is gentle and powerful, capturing the varying shades of Hugo's heart. Working with pencil and watercolour, Manuela Adreani is a champion of poignancy and beauty, filling each page with muted colours, from the cloudy hues of Hugo's misery to the colour and vibrancy of a world where difference is everywhere. The book even invites readers to choose their own colours for two spreads at the back of the book, imbuing the story with their own sense of self. Such a thrilling and timely debut that will leave the readers and kid-lit world eagerly awaiting more.